We clipped this from Bon Appetit’s RSVP section from a reader asking for a California restaurant’s recipe. Very 1980s, no? We toasted the nuts but made the mistake of pureeing the whole mess, resulting in a homogeneous mixture. Next time, we’ll stir chopped nuts and onion into the puréed chickpea, curry and parsley mix. 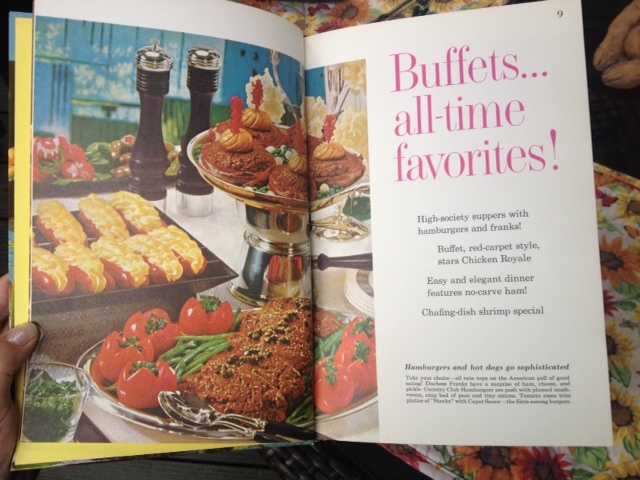 In other words, we’ll follow the goddamned recipe as written. Sheesh! Combine beans, onion, parsley, nuts, seeds, curry powder, and salt in a large bowl. Add egg and mix well. 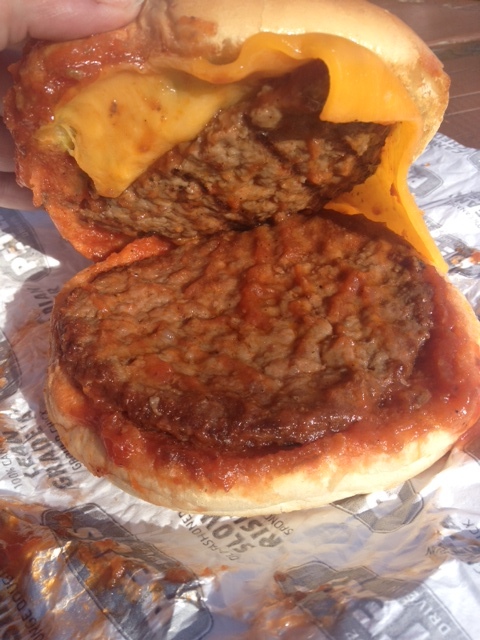 Form into eight 3 x 3/4 inch patties. Pour oil into heavy large skillet to depth of 1/4 inch. Place over medium high heat. When oil is hot, add patties and fry until lightly browned, about four minutes. Turn and fry the other side for four minutes, topping with cheese while the other side cooks. Drain patties on paper towel. Lightly spread inside of pitas with mustard. Place patty in each, add tomato, avocado and lettuce. Spoon dressing over filling. Update: frying was a disaster so the second time we baked them at 350F on a parchment-lined baking sheet. Success! They stayed intact. combine in a processor or blender until smooth. We spooned into a squeeze bottle. Thank goodness for cocktail parties and loose lips. This simple burger combo is summer personified: the crunch of diced white onion, puckery dill pickle, and yellow mustard provide a great foil for this sweet barbecue sauce used as a rich bath for stacks of beefy patties. Boil the sauce, add cooked hamburgers and simmer. Mix all ingredients in large oven pan (e.g. turkey roaster). 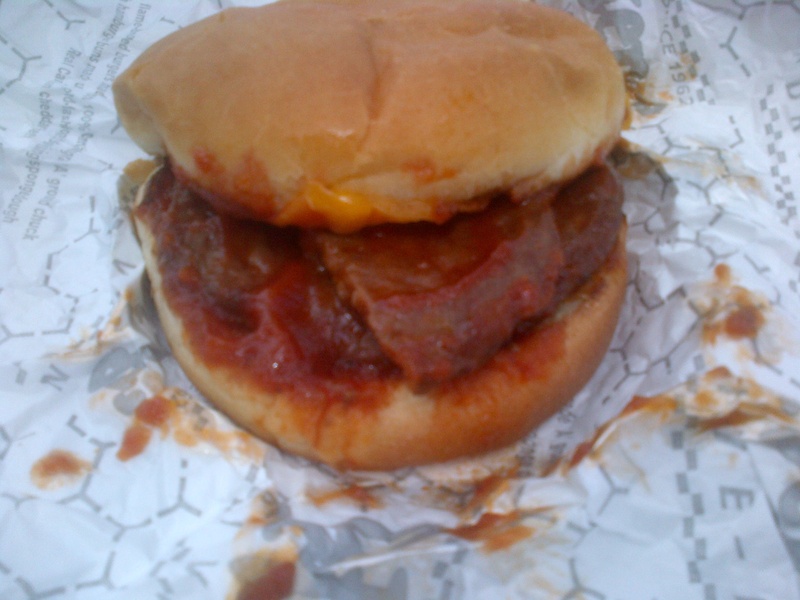 Barbecue hamburgers and mix into sauce. Bake at 300F for 2 hours (or put into Crock Pot and heat). Great made a day ahead and reheated, especially for backyard picnics. 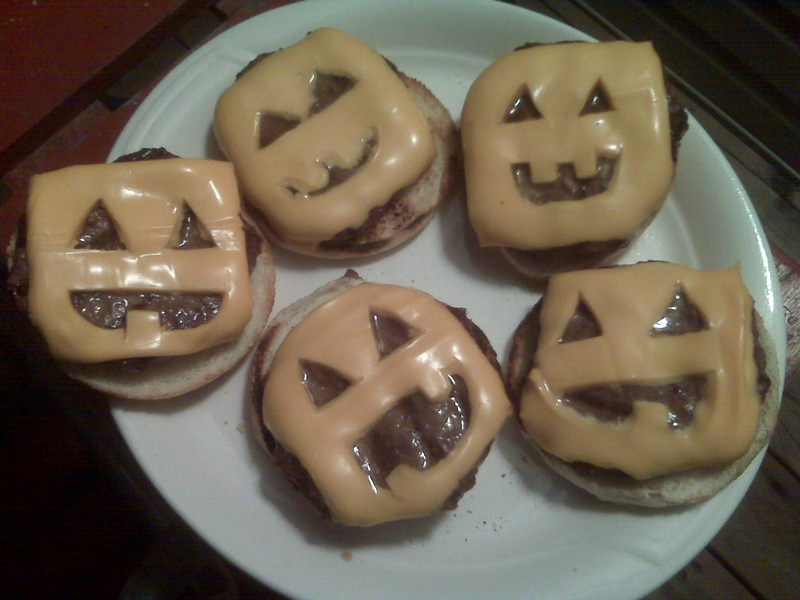 Halloween inspiration from a silly 80s Seventeen recipe page for babysitter’s supper of jack’o’lantern carved cheese slices melted on Lipton Onion Soup burgers. 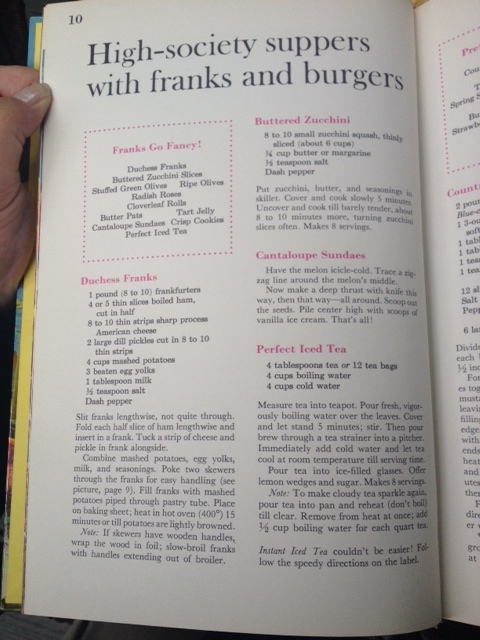 For a lark — and to celebrate Halloween early — we are going to surprise a friend by putting these goofy cheeseburgers on the grill. But instead of the old dried onion soup mix, we may opt for turkey burgers with chipotle avocado mayo or maybe these turkey cheddar sliders. A summer barbecue with pink cocktails and smokey sliders. Lilly’s orders. This smokey mayo looks divine, but we can’t help wanting to add a little slice of avocado. You know how we are about pink and green! Grill and assemble sliders, serve with chipotle mayo, pickles and red onion slices. In a large pitcher combine all. Stir to dissolve sugar. Oh, Internets. You know how obsessive we are when it comes to pairing food with dreamy destinations. If we can’t afford to jet away to some exotic locale right this minute, surely we can transport ourselves to a happy place with a little bit of delish. 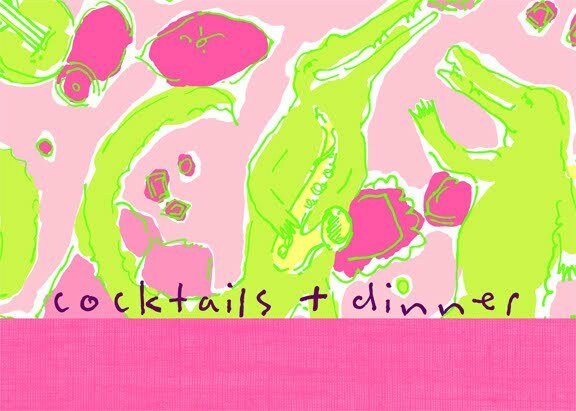 Can we help it if the sight of honeydew melon balls paired with pink grapefruit, freshly torn mint, honey and lime makes us think of Lilly Pulitzer sundresses and Palm Beach? Oprah found a new favorite food when she tried this turkey burger at Mar-a-Lago, Donald Trump’s private club in Palm Beach. 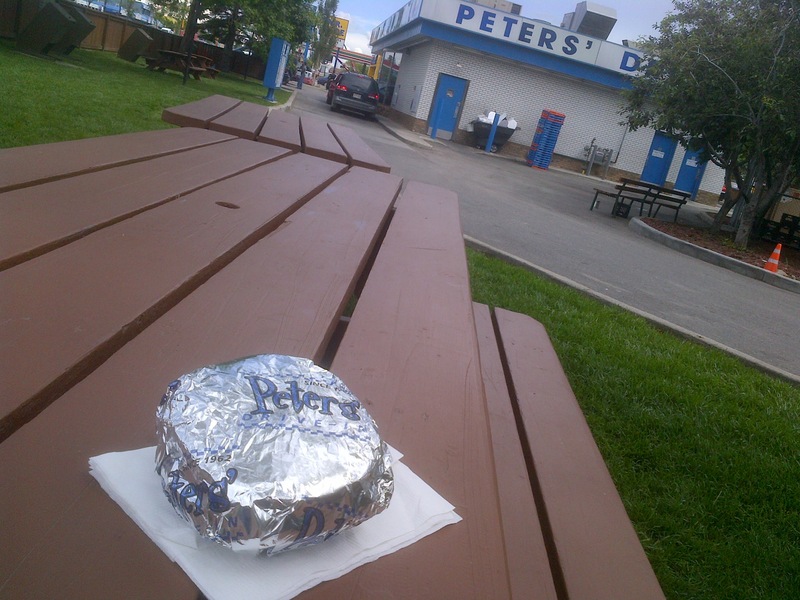 “I believe [it] may be the best turkey burger in the entire world,” she says. The Mar-a-Lago Turkey Burger will be permanently available at the Trump Bar and Grille in Trump Tower in New York City, open to the public for lunch and dinner. It will also be served during lunch in Chicago at Sixteen, the Trump International Hotel restaurant. Serve with a side of Mar-a-Lago Pear Chutney (see below) and your favorite toasted bread, pita or hamburger roll. Preheat oven to 350°. Toss the diced pears with the cinnamon and salt. Bake on a parchment-lined cookie sheet for 10 minutes. Cool and mix with the chutney and currants or raisins. We need to talk. 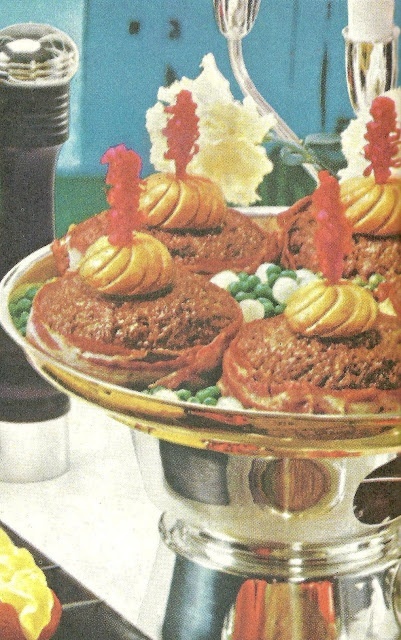 While it is true that you enjoy all things saucy, your willingness to consider, nay, encourage, the use of thousand island-type dressing on hamburgers needs to be addressed. Is it the nostalgia of McDonald’s Big Mac secret sauce? The tang of Manhattan’s Shake Shack topper? In’n’Out’s legendary spread? Or your latest obsession, Pink bike sauce from Pink Bicycle? Thousand Island (a variant of Russian dressing) is a lardy, artery hardening melange of mayonnaise, ketchup, Tabasco sauce and finely chopped vegetables; most often pickles, onions, bell peppers, and green olives. Hold the hard boiled egg, please. Some have said McDonald’s secret sauce is simply tartar sauce with mustard and ketchup. Big Mac® Sauce: Soybean oil, pickle relish [diced pickles, high fructose corn syrup, sugar, vinegar, corn syrup, salt, calcium chloride, xanthan gum, potassium sorbate (preservative), spice extractives, polysorbate 80], distilled vinegar, water, egg yolks, high fructose corn syrup, onion powder, mustard seed, salt, spices, propylene glycol alginate, sodium benzoate (preservative), mustard bran, sugar, garlic powder, vegetable protein (hydrolyzed corn, soy and wheat), caramel color, extractives of paprika, soy lecithin, turmeric (color), calcium disodium EDTA (protect flavor). Makes sense. Tartar sauce is a thick white goop made from mayonnaise and finely chopped pickled cucumber, capers, onions (or chives), and fresh parsley. Chopped hard-boiled eggs, olives, and horseradish are sometimes added, and dijon mustard is often used as an emulsifier. We’d have to say the secret lies in the proportions. Too much ketchup and it’s a sticky, cloying mess: 1/2 cup mayonaise-1/2 cup ketchup-1/2 cup yellow mustard-1/4 cup sweet pickle relish. Too much mayo and you’ve got a bland goopy slop. We vow to rev up our burger season sauce with some inspired mixology. First stop: chopped sirloin patties with dreamy melted cheese on toasted English muffins. Combine all ingredients in blender until smooth, scraping down sides of blender with rubber spatula as necessary.